« Love is not our natural state of being but we can learn it. Have you ever thought about how many different languages there are in the world? If you met someone from another country that you were completely attracted to would you be able to make a long lasting relationship? Some would say yes but you would be fooling yourself… maybe a short passionate relationship and it would take a long long time to learn their language … but the truth is.. we all speak different LOVE languages… we all expect different things in different ways … from kissing and hugging to getting along. From common sense understanding on your part but maybe not theirs and the only key is COMMUNICATION. But ask yourself this.. when was the last time you took a course on how to better communicate with your partner. I bet it would make a huge difference in your life and love~ I teach Learn To Love School for Relationships and you can learn to win at your relationship. “The most significant thing your lips speak to is what you are like in relations and how giving you are,” says Jean Hanner, a professional in face reading. Those woman with small lips are caring and generous people. Do not take their gentleness for weakness however, as small-lipped persons can be extremely defiant! Big lips unequal big personality, and an even larger love for being in control… You will never catch this person unaccompanied or short of those who care about her around. 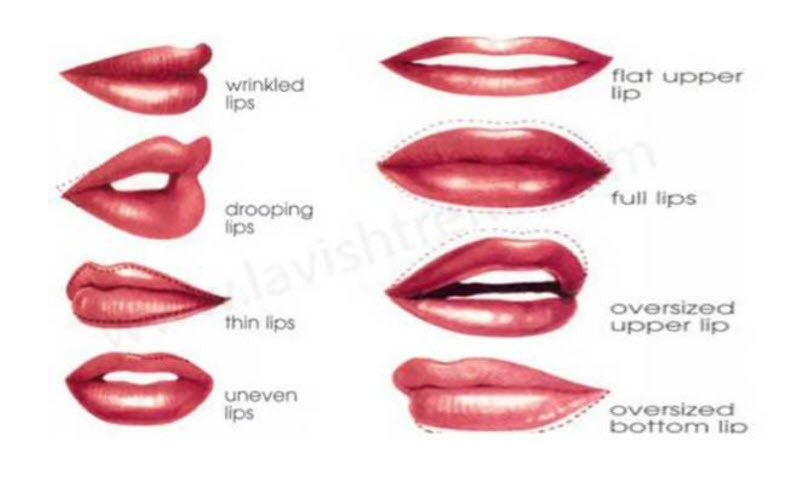 Many males want women who have full lips, as they radiate seduction. But you will be astonished at the level of naivety these women are on…with no fear of looking silly. Many people are self-doubting about their thin lips, thus becoming unconfident in all facets of their lives. But they let their level-headedness lead their lives, and are never too overcome by an inferiority complex. Their heart shaped lips are just as seductive as their character, initiating many to become the centre of attention anywhere they go. They are completely aware of their lip power, and know precisely how to get what they want! Mystery comes from ladies with these type of lips, as they’re mostly reserved from those around them. Their silence and picky character might come across as vain, but they have a great temperament deep down.